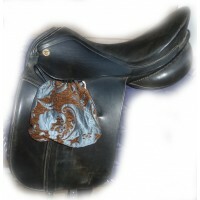 Our Stirrup Bags keep dirty stirrups away from your saddle. 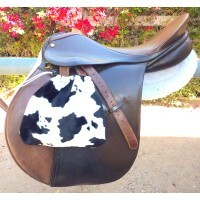 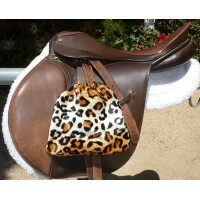 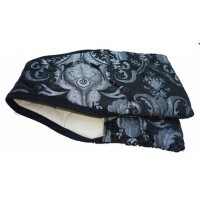 They will also protect the leather from being scratched when lunging your horse. 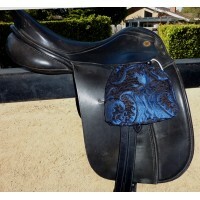 We use the same 3/8" quilt we use on our saddle pads. 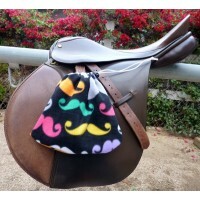 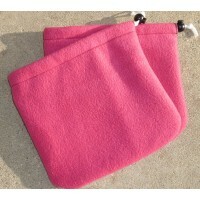 The pockets are large enough to fit a variety of English stirrups. 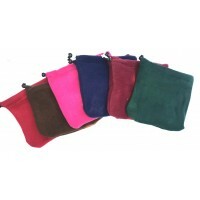 Stirrup Socks "Red on Black Chenille"
Stirrup Socks "Aztek Horse LINED"
Stirrup Socks "Barcelona Blue on Black"
Stirrup Socks "Black Daisy LINED"
Stirrup Socks "Burgundy Red Fleece"
Stirrup Socks "Day of the Dead"
Stirrup Socks "Fortuna Black Gold Chenille"
Stirrup Socks "Hot Pink Fleece"
Stirrup Socks "Levade Brown Blue Chenille LINED"